There’s a naive idea floating around that an innocent person should never be afraid of cops. Editors’ Note from the Foundation for Economic Education: FEE faculty T.K. Coleman is consistently one of our students’ favorite speakers and teachers. His insight and magnetism would be impossible to replace. We not only consider him a friend, but a member of the FEE family. Recently T.K. related the story of his experience with police abuse. We cannot independently verify the account he gives here, but we offer his story based on our belief in T.K. Coleman as a human being and as a friend to our organization. We believe it is important to cover the problem of police abuse from the perspective of one who has experienced it. What you are about to read is not a philosophical argument. It’s a personal testimony. The aim of telling this story is neither to make a political statement, nor to score points for a particular ideology. For almost three years, I’ve mostly held it in. But it’s become clear to me that it’s time to give a more detailed account to a broader audience. One Friday night, my wife and I were driving through a small town on the way to a comedy club in Manhattan Beach, California. We were going to hang out and share a few laughs. On the way, we were pulled over by the police. Two officers approached our car. One of them came to my window. The other one came to her window. Without asking to see my license or registration, the officer on my side told me to get out of the car. I immediately and respectfully complied without raising a single question or objection. And in case you’re wondering, I wasn’t dressed in gang colors, nor was I wearing a hoodie. I remember seeing a woman walking across the street holding hands with her little girl. We made eye-contact. She picked her little girl up and jogged in the other direction. Who could blame her? If I saw one of society’s most trusted authority figures manhandling a guy, I’d also assume this was a potentially dangerous situation. The officer then removed the wallet from my pocket and pulled out the cash. Next, he asked me where I lived. I told him my address. He laughed and said, “This n****r knows his address.” Then he walked me to the police car and literally threw me in the back seat and shut the door. From the back seat of a police car, I watched the officer join his partner who was already busy questioning my wife. They also made her get out of the car. They both got in her face and started questioning her. Imagine what goes on inside of a man’s head when he’s handcuffed and helpless as he watches two men with guns get in his wife’s face. Imagine the complex blend of confusion, fear, irrational optimism, and rage that festers inside one’s soul as he watches one cop take his wife’s purse and pour all the contents out, while the other officer literally crawls around inside our car for several minutes. They spent about 10 more minutes aggressively questioning my wife. One of the officers returned to the car with my wallet and proceeded to look up my info in the system. “You got any baby momma drama?” he asked me. “Are you clean? Are you clean? You ain’t got no drugs? You ain’t got nothing on you? No baby momma drama?” he says. “I am clean,” I said. For the entire time we were talking, my eyes were deadlocked on that other officer and my wife. After what felt like an eternity, the officer let me out of the car and took off the handcuffs. “You’re good,” he told me. I wanted to say, “What does that even mean?” But more importantly, I wanted to get us out of that situation safely. Given the way he man-handled me earlier, it was obvious to me that I was dealing with guys who weren’t above breaking protocol. So I just walked back to the car, took a deep breath, asked my wife if she was alright, and did my best Denzel Washington from Glory impersonation as I tried to keep it together. Our comedy show started at 8 P.M. We were pulled over at about 7:30. When they let us go, it was about 10 minutes after the hour. We decided we couldn’t go home, or it would feel as if we let them win. So we drove to a local cinema, watched a movie, came back home, had some coffee, and just stayed up talking with each other about it. I’m grateful that we didn’t get killed. I’m grateful that my wife didn’t get assaulted. I’m grateful that they didn’t plant drugs on me or put me in the hospital. But my gratitude doesn’t change the fact that these men abused their power, disrespected my wife, laid their hands on my body in an inappropriate way, scared the hell out of us both, made us miss our show, and treated us like criminals simply because they felt entitled to do so. They will not ruin my life, nor will they determine my destiny, but I want to put this story on the record because this was neither the first nor the second time something like this happened to me, and I sincerely believe that things like this happen all over the country. But if we want to have intelligent discussions about authority in this country, we have to stop using a logic that tells us that people in authority always have a fair reason for doing what they do. We do a lot of talking about what people can do to avoid being abused by cops. We don’t talk as much as we should about the abuse that happens to people who follow all those instructions. If we can’t question authority, we are doomed. Here’s a habit I picked up early on: When I see police officers, I shift into my A-game. I learned techniques like this from the first day I received my driver’s license. Growing up in the suburbs, I was always afraid to drive my dad’s Lincoln Town Car. I was too afraid to tell him, but I would cringe when he’d ask me to drive his car because I knew I would be pulled over and harassed by cops whose worldview wasn’t big enough to imagine me in a nice car (even though it was normal to see young people driving nice cars in the neighborhood where I grew up). I remember driving my dad’s car once, and he left his toolbox in the back seat. A cop pulled me over and asked why I had a toolbox. Fair enough. I told him my dad was in real estate and construction, and that I was working with him at one of his buildings. The cop had me step out of the car, handcuffed me, and searched the toolbox while I sat on the curb in handcuffs. He let me go. I can only imagine what my fate would have been if I hadn’t learned about the loaded question fallacy. Two points for philosophy. Hurray. Unfortunately, my techniques don’t make me feel all that secure, nor does the fact that today I drive a car that’s a lot more modest than my dad’s. At every stage of my adulthood, I’ve been pulled over by cops, dragged out of my car, handcuffed, spoken to like I was a stupid little boy, humiliated in public, called racial slurs, and manhandled by multiple guys with badges multiples times (without being arrested or charged with anything), in spite of the fact that I’ve never been armed, and I’ve always complied with their every request. When I spent two years without having a car, it was one of the most peaceful, cop-free times in my life. I would still get harassed at times, but it was so much harder for them to come up with excuses for stopping me. I have never been physically or psychologically abused by drug-dealing “thugs,” but I have definitely been abused by police who thought it was okay to push me around because I fit their stereotype of a thug. Some people automatically feel safer when cops are around, but that’s not a universal experience. It’s certainly not mine. I’m not angry at every cop, but I am deeply concerned about the frighteningly popular belief that you must have done something wrong if you were abused by one. When I first wrote about this on my Facebook page, I only had my family and friends in mind. Prior to that, I’d never shared the full details with anyone except for a small group of people. But more and more, I’d been involved in conversations about police brutality. It seems to be on everyone’s mind. And while I acknowledge that these issues are more complex than many people make them out to be, there was one recurring element in many of these conversations that really irked me: The idea that a police officer would never mistreat someone if they conducted themselves in the right way. I know from personal experience that this assumption is false. Indeed, I know many people who have been mistreated by authorities who abuse their power and they’re simply afraid to talk about it. Since I shared a version of this account on Facebook, over 1500 hundred people have shared my Facebook post. I’ve received tons of messages from people who have been victims of various kinds of abuse, not just from cops, but abuse in general. Many of them thanked me for inspiring them to tell their own story. I’ve even had police officers apologize to me on behalf of other police officers. But why are people so often silent in the face of abuse? They don’t want to risk their careers; they don’t want to make enemies at their church; they don’t want to be associated with the wrong political party; they don’t want to be seen as liars; they don’t want anyone targeting them. And I get it. Just since I shared this on social media, people have called me a liar, a bullshitter, a slanderer, a cop hater and an attention seeker. Honestly, I can relate with those people who would rather just stay silent than suffer the indignity of the aftermath — which so often just adds insult to injury. But then there are the people who find inspiration, perhaps to tell their own story. I wrote this for them. Some have asked why I would write something like this if I have no chance of bringing the cops to justice. My answer is that I wrote this primarily in hopes that some people’s minds will be opened and others’ hearts will be healed due to what I went through. Most importantly, I wrote this so that people who stay silent — for whatever reason — will know they aren’t alone. I wish I had footage of what happened. I wish I had had the opportunity to obtain badge numbers, names, or license plate numbers without fear. Instead all I could think was “Please God let me out of this situation alive.” “Please don’t let them hurt my wife.” “What in the world is happening to me?” When they finally let me go, I was mostly just relieved that we were going to get out safe. Believe it or not, there was a point when it did occur to me to try to get some information on these police officers. When I asked the one cop why we had been stopped, I thought about getting a look at their license plate number right then. But it occurred to me that things could escalate again if they perceived me as antagonizing them. I was scared of what they might do next if they noticed me looking at their car as if I were trying to obtain their information. After my wife and I left, we calmed down. I started to reflect on things. I wished I could have gotten something — a badge number, a license tag, anything. Still, I decided to report it. The next day, I called the police department in the town where we were pulled over. I spoke with an officer who was appalled by my story, but who said it couldn’t be his department. He asked me if I was sure it wasn’t the state police. I honestly didn’t know. He believed my story, though, and he told me that if those were his guys, he would deal with them harshly. He apologized on behalf of police officers. We talked for almost an hour and he promised to have a meeting with his department about my story. I also called state police as well as the departments for a couple surrounding towns but with the same results. My lack of evidence made things difficult. I tried hard to channel my anger in the direction of holding those officers accountable, but ultimately fell short. So, all I have is my story and the hope that some good can come from telling it. All I ask of you, dear reader, is that you consider it an invitation to rethink the way some of these police encounters are framed and construed by all parties. If you’re skeptical of my version of events, that’s fine. I encourage you to keep on doubting. But please don’t be selective in your skepticism. Question me. Question others. Question the police. Question authority. Most importantly, question your own assumptions. The truth will come will eventually come from people willing to search for it. T.K. Coleman is a philosopher, writer, lecturer, entrepreneur, and life coach living in Los Angeles, California. He is the co-founder and Education Director for Praxis, a 10-month apprenticeship program that combines a traditional liberal arts education with practical skills training, professional development, and real-world business experience. Last week, Retired General Wesley Clark, who was NATO commander during the US bombing of Serbia, proposed that “disloyal Americans” be sent to internment camps for the “duration of the conflict.” Discussing the recent military base shootings in Chattanooga, TN, in which five US service members were killed, Clark recalled the internment of American citizens during World War II who were merely suspected of having Nazi sympathies. He said: “back then we didn’t say ‘that was freedom of speech,’ we put him in a camp.”He called for the government to identify people most likely to be radicalized so we can “cut this off at the beginning.” That sounds like “pre-crime”! These statements and others like them most likely reflect the frustration felt in Washington over a 15-year war on terror where there has been no victory and where we actually seem worse off than when we started. The real problem is they will argue and bicker over changing tactics but their interventionist strategy remains the same. We should demand an end to these foolish wars that even the experts admit are making matters worse. Of course we need a strong defense, but we should not provoke the hatred of others through drones, bombs, or pushing regime change overseas. And we must protect our civil liberties here at home from federal-government elites who increasingly view us as the enemy. Many investors still view gold as a safe-haven investment, but there remains much confusion regarding the extent to which the gold market is vulnerable to manipulation through short-term rigged market trades, and long-arm central bank interventions. First, much of the gold that is being sold as shares, in certificates, or for physical hoarding in dubious “vaults” just isn’t there. Second, paper gold can be printed into infinity just like regular currency. Third, new electronic gold pricing — replacing, as of this past February, the traditional five-bank phone-call of the London Gold Fix in place since 1919 — has not necessarily proved a more trustworthy model. Fourth, there looms the specter of the central bank, particularly in the form of volume trading discounts that commodity exchanges offer them. The question of rigging has been brought to media attention in the past few months when ten banks came under investigation by the US Commodity Futures Trading Commission (CFTC) and the US Department of Justice in price-manipulation probes. Also around that time, the Swiss regulator FINMA settled a currency manipulation case in which UBS was accused of trading ahead of silver-fix orders. Then, the UK Financial Conduct Authority, which regulates derivatives, ordered Barclays to pay close to $45 million in fines against a trader who artificially suppressed the price of gold in 2012 to avoid payouts to clients. Such manipulations are not limited to the precious-metals market: in November of last year, major banks had to pay several billion dollars in fines related to the rigging of foreign-exchange benchmarks, including LIBOR and other interest-rate benchmarks.These cases followed on the heels of a set of lawsuits in May 2014 filed in New York City in which twenty-five plaintiffs consisting of hedge funds, private citizens, and public investors (such as pension funds) sued HSBC, Barclays, Deutsche Bank, Bank Scotia, and Société Génerale (the five traditional banks of the former London Gold Fix) on charges of rigging the precious-metals and foreign-exchange markets. “A lot of conspiracy theories have turned out to be conspiracy fact,” said Kevin Maher, a former gold trader in New York who filed one of the lawsuits that May, told The New York Times. The lawsuits were given more prominence with the introduction of the London Bullion Market Association (LBMA) on February 20, 2015. The new price-fixing body was established with seven banks: Goldman Sachs, J.P. Morgan, UBS, HSBC, Barclays, Bank Scotia and Société Génerale. (On June 16, the Bank of China announced, after months of speculation, that it would join. )While some economists have deemed the new electronic fix a good move in contrast to behind-closed-door, phoned-in price-fixing, others beg to differ. Last year, the commodities exchange CME Group came under scrutiny for allowing volume trading discounts to central banks, raising the question of how “open” electronic pricing really is. Then, too, the LBMA is itself not a commodities exchange but an Over-The-Counter (OTC) market, and does not publish — does not have to publish — comprehensive data as to the amount of metal that is traded in the London market.According to Ms. Ruth Crowell, the chairman of LBMA, writing in a report to that group: “Post-trade reporting is the material barrier preventing greater transparency on the bullion market.” In the same report, Crowell states: “It is worth noting that the role of the central banks in the bullion market may preclude ‘total’ transparency, at least at the public level.” To its credit, the secretive London Gold Fix (1919–2015) featured on its website tracking data of the daily net volume of bars traded and the history of gold trades, unlike current available information from the LBMA as one may see here (please scroll down for charts). There is further the problem of what is being sold as “paper” gold. At first glance, that option seems a good one. Gold exchange-traded funds (ETFs), registered with The New York Stock Exchange, have done very well over the past decade and many cite this as proof that paper gold, rather than bars in hand, is just as sure an investment. The dollar price of gold rose more than 15.4 percent a year between 1999 and December 2012 and during that time, gold ETFs generated an annual return of 14 percent (while equities registered a loss).As paper claims on trusts that hold gold in bank vaults, ETFs are for many, preferable to physical gold. Gold coins, for instance, can be easily faked, will lose value when scratched, and dealers take high premiums on their sale. The assaying of gold bars, meanwhile, with transport and delivery costs, is easy for banking institutions to handle, but less so for individuals. Many see them as trustworthy: ETF Securities, for example, one of the largest operators of commodity ETFs with $21 billion in assets, stores their gold in Zurich, rather than in London or Toronto. These last two cities, according to one official from that company, “could not be trusted not to go along with a confiscation order like that by Roosevelt in 1933.”Furthermore, shares in these entities represent only an indirect claim on a pile of gold. “Unless you are a big brokerage firm,” writes economist William Baldwin, “you cannot take shares to a teller and get metal in exchange.” ETF custodians usually consist of the likes of J.P. Morgan and UBS who are players on the wholesale market, says Baldwin, thus implying a possible conflict of interest. Still more complicated is the love-hate relationship between governments and gold. As independent gold analyst Christopher Powell put it in an address to a symposium on that metal in Sydney, October 2013: “It is because gold is a competitive national currency that, if allowed to function in a free market, will determine the value of other currencies, the level of interest rates and the value of government bonds.” He continued: “Hence, central banks fight gold to defend their currencies and their bonds.”It is a relationship that has had a turbulent history since the foundation of the Bretton Woods system in 1944 and up through August 1971, when President Nixon declared the convertibility of the dollar to gold suspended. During those intervening decades, gold lived a kind of strange dual existence as a half state-controlled, half free market-driven money-commodity, a situation that Nobel Prize economist Milton Friedman called a “real versus pseudo gold standard.”The origin of this cumbersome duality was the post-war two-tiered system of gold pricing. On the one hand, there was a new monetary system that fixed gold at $35 an ounce. On the other, there was still a free market for gold. The $35 official price was ridiculously low compared to its free market variant, resulting in a situation in which IMF rules against dealing in gold at “free” prices were circumvented by banks that surreptitiously purchased gold from the London market. The artificial gold price held steady until the end of the sixties, when the metal’s price started to “deny compliance” with the dollar. Still, monetary doctrine sought to keep the price fixed and, at the same time, to influence pricing on the free market. These attempts were failures. Finally, in March 1968, the US lost more than half its reserves, falling from 25,000 to 8,100 tons. The price of other precious metals was allowed to move freely. Meawhile, private hoarding of gold was underway. According to The Financial Times of May 21, 1966, gold production was rising, but it was not going to official gold stocks. This situation, in turn, fundamentally affected the gold clauses of the IMF concerning repayments in currency only in equal value to the gold value of such at the time of borrowing. This led to a rise in “paper gold planning” as a substitution for further increases in IMF quotas. (Please see “The Paper Gold Planners — Alchemists or Conjurers?” in The Financial Analysts Journal, Nov–Dec 1966. )By the late 1960s, Vietnam, poverty, the rise in crime and inflation were piling high atop one another. The Fed got to work doing what it does best: “Since April ,” wrote lawyer and economist C. Austin Barker in a January 1969 article, “The US Money Crisis,” “the Fed has continually created new money at an unusually rapid rate.” Economists implored the IMF to allow for a free market for gold but also to set the official price to at least $70 an ounce. What was the upshot of this silly system? That by 1969 Americans were paying for both higher taxes and inflation. The rest, as they might say, is the history of the present.Today, there is no “official” price for gold, nor any “gold-exchange standard” competing with a semi-underground free gold market. There is, however, a material legacy of “real versus pseudo” gold that remains a terrible menace. Buyer beware of the pivotal difference between the two. 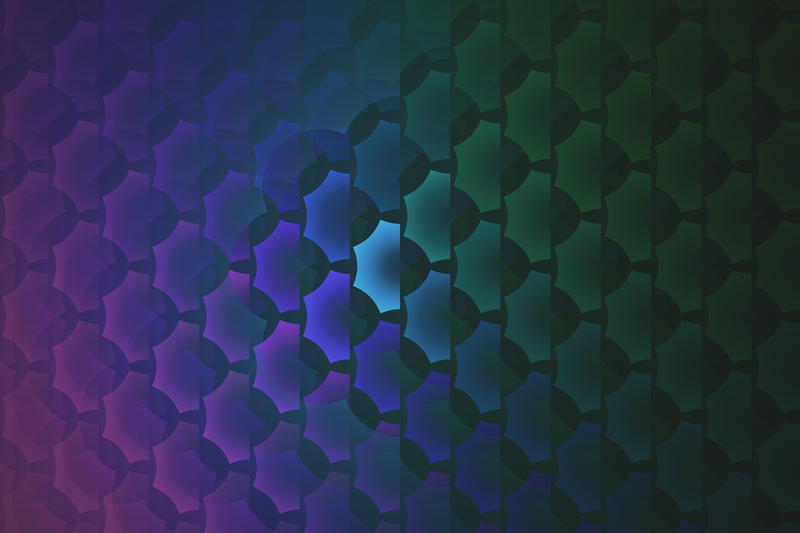 An intricate, intertwined, interlocking interplay of light and geometry, created using the program Chaotica. See the index of Wendy Stolyarov’s art works. Visit Wendy Stolyarov’s website and view her art portfolio. Wendy D. Stolyarov is an accomplished writer, thinker, artist, and graphic designer, who brings her immense talent and capacity for innovation to The Rational Argumentator and the wider movement for the advancement of Reason, Rights, and Progress. Mrs. Stolyarov uses computer technology masterfully to produce precise, realistic, life-affirming art. 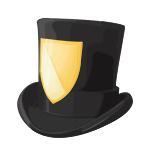 She has also contributed multiple essays to TRA and designed many of the magazine’s newer logos, including its banner and the New Renaissance top hat. Mrs. Stolyarov is married to G. Stolyarov II, the Editor-in-Chief of The Rational Argumentator and The Progress of Liberty. She is the illustrator for Death is Wrong, the children’s book on indefinite life extension written by Mr. Stolyarov in 2013. 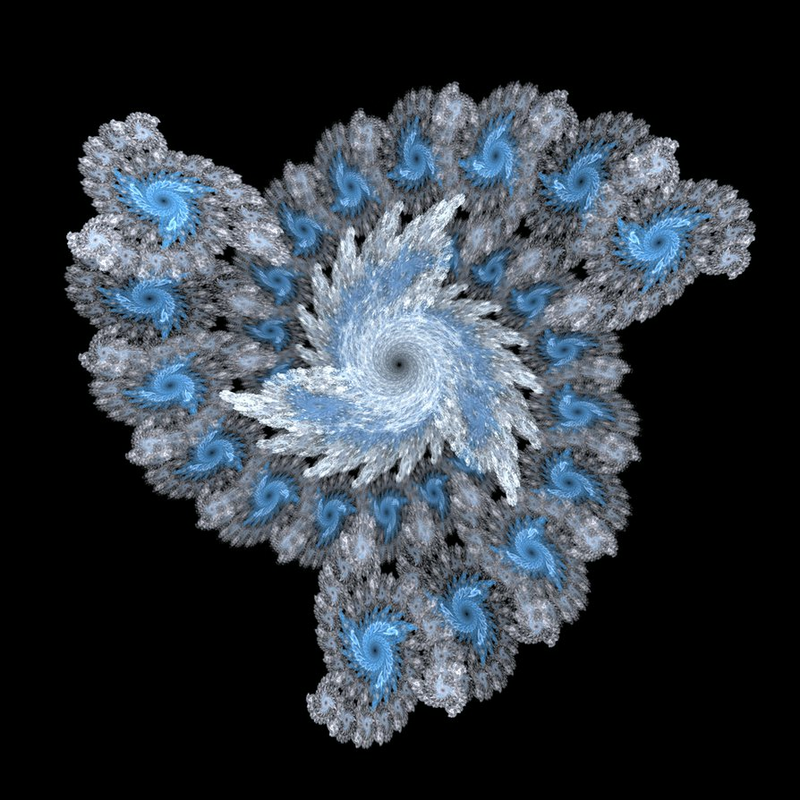 Fractal art created using the program Chaotica, reminiscent of fish scales. In May, the US unemployment rate stood at 5.5 percent against the rate of 5.3 percent for the “natural unemployment,” also known as the Non-Accelerating Inflation Rate of Unemployment (NAIRU). According to the popular view, once the actual unemployment rate falls to below the NAIRU, or the natural unemployment rate, the rate of inflation tends to accelerate and economic activity becomes overheated. (This acceleration in the rate of inflation takes place through increases in the demand for goods and services. It also lifts the demand for workers and puts pressure on wages, reinforcing the growth in inflation). By this way of thinking, the central bank must step in and lift interest rates to prevent the rate of inflation from getting out of control. Recently, however, some experts have raised the possibility that the natural unemployment rate is likely to be much lower than the government official estimate of 5.3 percent. In fact, earlier this year, economists at the Chicago Fed argued that the natural unemployment rate since October last year has fallen to 4.3 percent. Experts are of the view that these factors should continue to lower the natural unemployment rate for at least the remainder of the decade. It is held that a lower natural rate may help explain why wage inflation and price inflation remain low, despite the actual unemployment rate recently reaching 5.5 percent. Advocates for a lower natural rate also claim a lower rate would mean the Fed can keep interest rates lower for longer without worrying about lifting the rate of inflation. 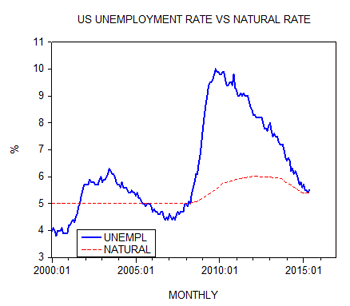 The NAIRU however, is an arbitrary measure; it is derived from a statistical correlation between changes in the consumer price index and the unemployment rate. What matters here for Fed economists and others is whether the theory “works” (i.e., whether it can predict the future rate of increases in the consumer price index). This way of thinking doesn’t consider whether a theory corresponds to reality. Here we have a framework, which implies that “anything goes” as long as one can make accurate predictions. The purpose of a theory however is to present the facts of reality in a simplified form. A theory has to originate from reality and not from some arbitrary idea that is based on a statistical correlation. If “anything goes,” then we could find by means of statistical methods all sorts of formulas that could serve as forecasting devices. For example, let us assume that high correlation has been established between the income of Mr. Jones and the rate of growth in the consumer price index — the higher the rate of increase of Mr. Jones’s income, the higher the rate of increase in the consumer price index. Therefore we could easily conclude that in order to exercise control over the rate of inflation the central bank must carefully watch and control the rate of increases in Mr. Jones’s income. The absurdity of this example matches that of the NAIRU framework. Contrary to mainstream thinking, strong economic activity as such doesn’t cause a general rise in the prices of goods and services and economic overheating labeled as inflation. Regardless of the rate of unemployment, as long as every increase in expenditure is supported by production, no overheating can occur. The overheating emerges once expenditure is rising without the backup of production — for instance, when the money stock is increasing. Once money increases, it generates an exchange of nothing for something, or consumption without preceding production, which leads to the erosion of real wealth. As a rule, rises in the money stock are followed by rises in the prices of goods and services. Prices are another name for the amount of money that people spend on goods they buy. If the amount of money in an economy increases while the number of goods remains unchanged more money will be spent on the given number of goods i.e., prices will increase. Conversely, if the stock of money remains unchanged it is not possible to spend more on all the goods and services; hence no general rise in prices is possible. By the same logic, in a growing economy with a growing number of goods and an unchanged money stock, prices will fall. Last week’s successfully concluded Iran agreement is one of the two most important achievements of an otherwise pretty dismal Obama presidency. Along with the ongoing process of normalizing relations with Cuba, this move shows that diplomacy can produce peaceful, positive changes. It also shows that sometimes taking a principled position means facing down overwhelming opposition from all sides and not backing down. The president should be commended for both of these achievements. The agreement has reduced the chance of a US attack on Iran, which is a great development. But the interventionists will not give up so easily. Already they are organizing media and lobbying efforts to defeat the agreement in Congress. Will they have enough votes to over-ride a presidential veto of their rejection of the deal? It is unlikely, but at this point if the neocons can force the US out of the deal it may not make much difference. Which of our allies, who are now facing the prospect of mutually-beneficial trade with Iran, will be enthusiastic about going back to the days of a trade embargo? Which will support an attack on an Iran that has proven to be an important trading partner and has also proven reasonable in allowing intrusive inspections of its nuclear energy program? However, what is most important about this agreement is not that US government officials have conducted talks with Iranian government officials. It is that the elimination of sanctions, which are an act of war, will open up opportunities for trade with Iran. Government-to-government relations are one thing, but real diplomacy is people-to-people: business ventures, tourism, and student exchanges. I was so impressed when travel personality Rick Steves traveled to Iran in 2009 to show that the US media and government demonization of Iranians was a lie, and that travel and human contact can help defeat the warmongers because it humanizes those who are supposed to be dehumanized. Our unwise policy with Iran is a perfect example of what the interventionists have given us—60 years of needless conflict and fear for no justifiable reason. This obsession with Iran is bewildering. If the people knew the truth, they would strongly favor a different way to interact with Iran. Let’s not forget that the Iran crisis started not 31 years ago when the Iran Sanctions Act was signed into law, not 35 years ago when Iranians overthrew the US-installed Shah, but rather 52 years ago when the US CIA overthrew the democratically-elected Iranian leader Mossadegh and put a brutal dictator into power. Our relations with the Iranians are marked by nearly six decades of blowback. When the Cold War was winding down and the military-industrial complex needed a new enemy to justify enormous military spending, it was decided that Iran should be the latest “threat” to the US. That’s when sanctions really picked up steam. But as we know from our own CIA National Intelligence Estimate of 2007, the stories about Iran building a nuclear weapon were all lies. Though those lies continue to be repeated to this day. It is unfortunate that Iran was forced to give up some of its sovereignty to allow restrictions on a nuclear energy program that was never found to be in violation of the Non-Proliferation Treaty. But if the net result is the end of sanctions and at least a temporary reprieve from the constant neocon demands for attack, there is much to cheer in the agreement. Peace and prosperity arise from friendly relations and trade – and especially when governments get out of the way. Last week, former Secretary of Education and US Senator Lamar Alexander wrote in the Wall Street Journal that a college degree is both affordable and an excellent investment. He repeated the usual talking point about how a college degree increases lifetime earnings by a million dollars, “on average.” That part about averages is perhaps the most important part, since all college degrees are certainly not created equal. In fact, once we start to look at the details, we find that a degree may not be the great deal many higher-education boosters seem to think it is. In my home state of Minnesota, for example, the cost of obtaining a four-year degree at the University of Minnesota for a resident of Minnesota, North Dakota, South Dakota, Manitoba, or Wisconsin is $100,720 (including room and board and miscellaneous fees). For private schools in Minnesota such as St. Olaf, however, the situation is even worse. A four-year degree at this institution will cost $210,920. This cost compares to an average starting salary for 2014 college graduates of $48,707. However, like GDP numbers this number is misleading because it is an average of all individuals who obtained a four-year degree in any academic field. Regarding the average student loan debt of an individual who graduated in 2013, about 70 percent of these graduates left college with an average student loan debt of $28,400. This entails the average student starting to pay back these loans six months after graduation or upon leaving school without a degree. The reality of this situation is that assuming a student loan interest rate of 6.8 percent and a ten-year repayment period, the average student will be paying $326.83 every month for 120 months or a cumulative total re-payment of $39,219.28. Depending upon a student’s job, this amount can be a substantial monthly financial burden for the average graduate. Unfortunately, there is no price incentive for students to choose degrees that are most likely to enable them to pay back loans quickly or easily. In other words, these federal student loans are subsidizing a lack of discrimination in students’ major choice. A person majoring in communications can access the same loans as a student majoring in engineering. Both of these students would also pay the same interest rate, which would not occur in a free market. In an unhampered market, majors that have a higher probability of default should be required to pay a higher interest rate on money borrowed than majors with a lower probability of default. In summary, it is not just the federal government’s subsidization of student loans that is increasing the cost of college, but the fact that demand for low-paying and high-default majors is increasing, because loans for these majors are supplied at the same price as a major providing high salaries to its possessor with a low probability of default. And which programs are the most likely to pay off for the student? The top five highest paying bachelor’s degrees include: petroleum engineering, actuarial mathematics, nuclear engineering, chemical engineering and electronics and communications engineering, while the top five lowest paying bachelor’s degrees are: animal science, social work, child development and psychology, theological and ministerial studies, and human development, family studies, and related services. Petroleum engineering has an average starting salary of $93,500 while animal science has an average starting salary of $32,700. This breaks down for a monthly salary for the petroleum engineer of $7,761.67 versus a person working in animal science with a monthly salary of $2,725. Based on the average monthly payment mentioned above, this would equate to a burden of 4.2 percent of monthly income (petroleum engineer) versus a burden of 12 percent of monthly income (animal science). This debt burden is exacerbated by the fact that it is now nearly impossible to have student loan debts wiped away even if one declares bankruptcy. Meanwhile, there are few government loan programs geared toward funding an education in the trades. And yet, for many prospective college students, the trades might be a much more lucrative option. Using the example of plumbing, the average plumber earns $53,820 per year with the employer paying the apprentice a wage and training. Acknowledging the fact that this average salary is for master plumbers, it still equates to a $20,000 salary difference between it and someone with a four-year degree in animal science while having no student loans as a bonus. Outside of earning a four-year degree in science, technology, engineering, math or, accounting with an average starting salary of $53,300, nursing with an average starting salary of $53,624, or as a family practice doctor on the lower end of physician pay of $161,000, society might be better served if parents and educators would stop using the canard that a four-year degree is always worth the cost outside of a few majors mentioned above. Encouraging students to consider the trades and parents to give their children the money they would spend on a four-year college degree to put a down payment on a house might be a better use of finite economic resources. The alternative of forcing the proverbial square peg into a round hole will condemn another generation to student debt slavery forcing them to put off buying a home or getting married. The root of the problem is intervention by the federal government in providing student loans. Since 1965 when President Johnson signed the Higher Education Act tuition, room, and board has increased from $1,105 per year to $18,943 in 2014–2015. This is an increase of 1,714 percent in 50 years. In addition, the Higher Education Act of 1965 created loans which are made by private institutions yet guaranteed by the federal government and capped at 6.8 percent. In case of default on the loans, the federal government — that is, the taxpayers — pick up the tab in order for these lenders to recover 95 cents on every dollar lent. Loaning these funds at below market interest rates and with the federal government backing up these risky loans has led to massive malinvestment as the percentage of high-school graduates enrolled in some form of higher education has increased from 10 percent before World War II to 70 percent by the 1990s. Getting a four-year degree in nearly any academic field seemed to be the way in which to enter or remain in the middle class. But just as with the housing bubble, keeping interest below market levels while increasing the money supply in terms of loans — while having the taxpayer on the hook for a majority of these same loans — leads to an avalanche of defaults and is a recipe for disaster. Josh Grossman is a social studies teacher in southeastern Minnesota. He enjoys reading anything he can about Austrian Economics or historical revisionism from the perspective of the Austrian School.